The Acute Class was a group of 15 brig-rigged, 14-gun gunboats designed by Sir John Henslow, Co-Surveyor of the Navy, of which 11 were built in Kent shipyards. They were a slight enlargement of Henslow's previous Gunboat design, the Conquest Class. Gunboats were small inshore patrol and shore bombardment vessels, which carried the heaviest possible armament on the smallest possible hull. The Acute Class were designed to operate under oars when in shallow, inshore waters and for that reason, they were shallow-draughted and flat-bottomed, but so that they could operate under sail, they were fitted with an innovative invention, the Schank Sliding Keel. This is commonplace in small sailing yachts and dinghies today and is commonly known now as a Dagger Board. It is a board which slides through a slot in the keel and the Acute Class gunboats were fitted with two of them, one aft and the other forward. When designed and built, they were not intended to have names, just numbers, but in August 1797, the Admiralty decided to give them names. The vessels were originally ordered as the 1797 Pattern (Henslow) Gunboats and consisted of HM Gunboat No. 4 through to 18, of which 7 to 18 were built under contract in Kent shipyards. The vessels were not designed to have long careers and only three of them remained in service beyond 1802. When the Admiralty decided to name them, they became known as the Acute Class. Because of their very short careers, this article will detail the careers of all the Kent-built Acute Class gunboats. HM Gunboat No.7 - HMS Sparkler - John Randall at Deptford. Randall's own shipyard was actually in Rotherhithe, further up the Thames in Surrey and he built No.s 4 to 6 there, but HMS Sparkler was built at a shipyard in Deptford, probably under a sub-contract arrangement. HM Gunboat No.8 - HMS Bouncer, No.9 - HMS Boxer, No.10 - HMS Biter and No.11 - HMS Bruiser by John and William Wells at Deptford. HM Gunboat No.15 - HMS Crash, No.16 - HMS Contest, No.17 - HMS Adder and No.18 - HMS Spiteful by Mrs Frances Barnard & Co at Deptford. If you look at the Sheer plan and lines above, you will see a small square port either side of the gunports. These were for the 18 oars which propelled the vessel when in shallow water. On completion, the Acute Class gunboats were vessels of 160 tons. They were 75ft 2in long on the main deck, 61ft 8in long at the keel and 22ft 2in wide across the beams. Their holds were 8ft deep, they drew 3ft 9in of water at the bow and 6ft at the rudder. This does not include the depth of the Schank Sliding Keels. They were manned by a crew of 50 men and boys. Not being ocean-going vessels, they were commanded by a Lieutenant-in-Command rather someone appointed to be their Master and Commander and he was the only commissioned officer aboard. In the day to day sailing and navigation of the vessel, the Lieutenant-in-Command was assisted by a Warrant Officer in the form of a Master's Mate. There were further Warrant Officers in the form of the Gunner and the Boatswain with a Surgeon's Mate appointed to look after the day-to-day healthcare of the crew. Two Midshipmen were also appointed to assist the Lieutenant in running the vessel day-to-day and the role of the purser was combined with that of the Lieutenant-in-Command's Clerk. The vessels were armed with 12 18pdr carronades on the broadside, with 2 24pdr long guns in the bow. They would also have carried a dozen half-pounder swivel guns attached to the main deck handrails. HM Gunboat No.7 was ordered on 7th February 1797, her keel was laid at Deptford later that month and she was launched on 12th April. Immediately after her launch, she was taken to the Royal Dockyard at Deptford, where she was fitted with her guns, masts and rigging and her lower hull was coppered. This process was completed on 21st June and she commissioned into the Channel Fleet under Lieutenant Austin Ternan. The vessel was formally named HMS Sparkler on 7th August 1797. Lieutenant Ternan remained in command until he was replaced by Lieutenant William Walker in June 1798. Mr Walker's term in command of the vessel was to end in disgrace. On 24th June 1800, Mr William O'Kelly, Surgeon's Mate in HMS Sparkler, faced a Court Martial held aboard the 44 gun two-decker HMS Gladiator in Portsmouth. He had been reported by Lieutenant Walker for mutinous, riotous and disorderly behaviour, disobeying orders, striking the Clerk and pointing a pistol at the guards who came to arrest him. Found guilty by the Court Martial board, Mr O'Kelly was sentenced to spend two years in the Marshalsea Prison and to have all his pay deducted. This may or may not have been connected to what happened next. On 2nd July 1800, Lieutenant Walker himself faced a Court Martial aboard HMS Gladiator. He was charged with False Muster, in that he answered muster for men who had deserted the vessel, claiming that they were ashore on leave. In addition, he had entered his son onto the ships books, rated at Able Seaman, claiming when challenged that the boy was ashore on an errand. He had ordered one of the vessel's company to go to the Receiving Ship and sign on as a volunteer in his son's name in order to claim the £5 bounty. His son was at the time, a year old. In addition to this, he was charged with False Accounting in that he shortened the fresh provisions for the vessel's company and drew the remainder ashore for his own use. He sent salt herrings to the vessel to be served without fresh vegetables which he had also kept for his own use ashore and drew provisions for fifty men, despite his vessel's company not being complete. Lieutenant Walker was found guilty of all charges by the Court Martial Board and was dishonourably dismissed from His Majesty's Service. After Lieutenant Walker's Court Martial and disgrace, Lieutenant John Stevens was appointed to command HMS Sparkler. On 19th August 1800, HMS Sparkler was part of a force commanded by Mr John Wright, Master and Commander in the large gun-brig HMS Wolverine of 14 guns. Commander Wright's force had succeeded in forcing an enemy convoy to take shelter in the mouth of the River Vire, near Isigny-sur-Mer in modern-day Normandy. On the day in question, two large sloops were seen attempting to escape and make their way along the shore to the east. The three British gun-brigs, HMS Wolverine, HMS Sparkler and HMS Force of 12 guns gave chase and forced the two enemy vessels to run ashore at Grand Camp Bay, where they were under the cover of two powerful shore batteries. Undeterred, Commander Wright ordered a boat attack, with HMS Sparkler and HMS Force giving covering fire. Lieutenant Gregory of HMS Wolverine led the attack using HMS Wolverines boats and with a party of Royal Marines, boarded the largest of the two enemy vessels within 20 yards of the shore, under fire from three field pieces and the muskets of over two hundred French soldiers. Nevertheless, they managed to set the enemy vessel on fire and she exploded, wounding three of HMS Wolverine's men. The other sloop was too badly holed to be refloated and there were no other casualties amongst the British force. On Tuesday 9th September 1800, HMS Sparkler was operating off the Iles St Marcouf in company with the 24 gun, 9pdr armed post-ship HMS Champion, her sister-boat HMS Bouncer and the hired armed cutter Dolphin of 12 guns, when they drove ashore and destroyed two enemy sloops laden with cargoes of soda ash. Four days later, HMS Sparkler was under the orders of Commander Charles Papps Price in the small gun-brig HMS Badger when HMS Badger's boats captured the French privateer lugger La Victoire under cover of HMS Sparkler's guns off the Iles St Marcouf. HMS Sparkler suffered damage to her sails but no casualties. In early 1800, a sequence of events began which was to indirectly a major action which was to involve HMS Sparkler and her crew. It was also to lead, eventually to the opening of another front in the war. In time of war, the British had always insisted on the right to stop and search neutral ships at sea for contraband and war materials. The Dutch Navy had ceased to be an effective force after the Battle of Camperdown and the Vlieter Incident. As a result of this, Britain's erstwhile ally Russia had joined together with other, neutral northern nations to try to force the British to give up this right. On 25th July 1800, a small British squadron which included the 20 gun ship-sloop HMS Arrow and the 28 gun frigate HMS Nemesis encountered the large 40 gun Danish frigate Freya, which was escorting a convoy of six vessels through the English Channel, near the Goodwin Sands. In accordance with the age-old British tradition of stopping and searching neutral vessels, Captain Thomas Baker of HMS Nemesis hailed the Freya and informed the Danes of his intention to send a boat around each vessel in turn and conduct a brief search. The Danish captain, Captain Krabbe responded to the effect that the Freya would fire on the British boat if they attempted to board any of the vessels under his protection. The British duly put their boat into the water and the Danes duly carried out their threat. In the action which followed, the Freya was forced to surrender after having suffered 2 men killed and five wounded. The Danish convoy was escorted to the Downs and anchored there. In an attempt to diffuse the situation, the Commander-in-Chief at the Downs, Vice-Admiral Skeffington Lutwidge ordered that the Danish vessels be allowed to continue flying their own colours. This incident and another similar incident in the Mediterranean had threatened to open a major rift between Britain and Denmark. It was vitally important for Britain to maintain good relations with neutral Denmark, since Denmark controlled the Kattegat, that narrow passage from the North Sea into the Baltic. In the meantime, news reached Tzar Paul that the British had refused to hand Malta back to the Knights of St John after having driven the French from the islands back in 1797. This enraged the Tzar who had been promised control of the islands by the French. On 5th November, his order to seize all British shipping in Russian ports was reinstated. In the December, the Tzar proposed a confederation of Armed Neutrality which was to comprise Russia, Sweden and Denmark. If allowed to take form, this would mean the British could potentially face an additional opponent possessing a total of over 100 ships of the line as well as the combined fleets of Spain and France. The British decided to meet this new menace in kind and a fleet began to be assembled at Yarmouth, to be led by Vice-Admiral Sir Hyde Parker with no less an officer than Vice-Admiral Lord Nelson as his second-in-command. In early March, HMS Sparkler joined this fleet and prepared to sail to Denmark. With Parker flying his command flag in HMS London (98) and Nelson flying his in HMS St. George (98) and accompanied by 18 more ships of the line, with 4 frigates plus sloops-of-war, bomb vessels and gun-brigs, the fleet departed Yarmouth on 12th March 1801. 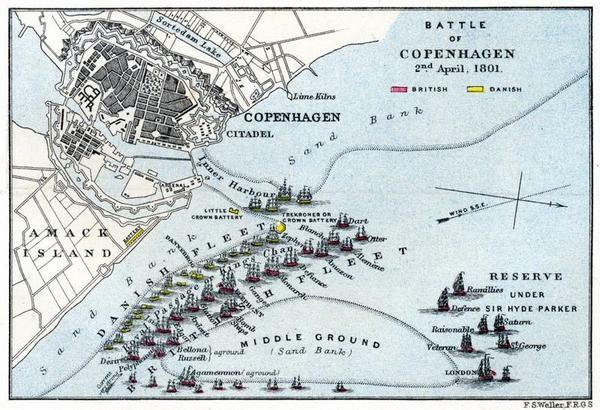 Parker had orders to neutralise the fortifications at Copenhagen and the Danish fleet should last minute negotiations fail. Parker's plan was that Nelson would lead the attack squadron, comprising of the shallower-draughted and smaller ships of the line, while Parker held back with the bigger ships. Nelson shifted his command flag to the 74 gun ship HMS Elephant. HMS Sparkler did not become involved in the fighting in the Battle of Copenhagen, so suffered no damage or casualties. On 25th March 1802, the Treaty of Amiens was signed, bringing an end to the French Revolutionary War. At the time, the British Government felt that the war was truly over and that Europe and the rest of the world would be at peace for the foreseeable future. In September 1802 as part of the drawdown of the fleet, HMS Sparkler was sold. HM Gunboat No.8 was ordered from John and William Wells on 7th February 1797, her keel was laid at Deptford later that month and she was launched on 11th April. Immediately after her launch, she was taken to the Royal Dockyard at Deptford, where she was fitted with her guns, masts and rigging and her lower hull was coppered. This process was completed on 29th May and she commissioned into the North Sea Fleet under Lieutenant William Hobbs. The vessel was formally named HMS Bouncer on 7th August 1797. By August 1799, the North Sea Fleet had the bulk of the Dutch fleet blockaded in Texel, with other ships bottled up in Amsterdam and in the Meuse Estuary. In the meantime, Britain had entered into a treaty with the Russians and the two nations had agreed that they would invade Holland. The Russians had agreed to supply 17,500 men, six ships of the line, 5 en-flute armed frigates and two transport ships. In return for this, the British had agreed to pay the Russians £88,000 up front for the soldiers, followed by £44,000 per month. For the ships, the British had agreed to pay the Russians £58,976. 10s up front for the first three months use, followed by £19,642. 10s per month following the expiry of the first three months term. On 13th August, the invasion force departed from the Margate Roads and the Downs. The Naval element of the task force comprised the Russian 74 gun ship Ratvison, the Russian 66 gun ship Mistislov, HMS Ardent (64), HMS Monmouth (64), HMS Belliqueux (64), HMS America (64), HMS Veteran (64), the ex-Dutch HMS Overyssel (64), HMS Glatton (54), HMS Isis (50), HMS Romney (50) and the frigates HMS Melpomene, HMS Shannon, HMS Latona, HMS Juno and HMS Lutine. HMS Bouncer was one of a number of gun-brigs assigned to the fleet. The force was commanded by Vice-Admiral Sir Andrew Mitchell, flying his command flag in HMS Isis. On 15th August, Lord Duncan arrived in HMS Kent (74) and took overall command of the operation. On arrival off the Dutch coast and after having been delayed by bad weather, the British attempted to negotiate the surrender of the Dutch fleet under Admiral Story. The Dutch Admiral was having none of it and advised the British that the Dutch would defend their ships should the British try to take them. Mindful of the bloodbath at the Battle of Camperdown, fought against the Dutch in 1797, the British were reluctant to use force against the Dutch fleet. On 9th September 1800, HMS Bouncer participated in the driving ashore and destruction of two enemy sloops laden with soda ash with her sister-boat HMS Sparkler. On 2nd April 1801, HMS Bouncer was one of the gun-brigs assigned to support the ships of the line and other vessels involved in the Battle of Copenhagen. With the end of the war brought about by the Treaty of Amiens, HMS Bouncer was sold during April of 1802. 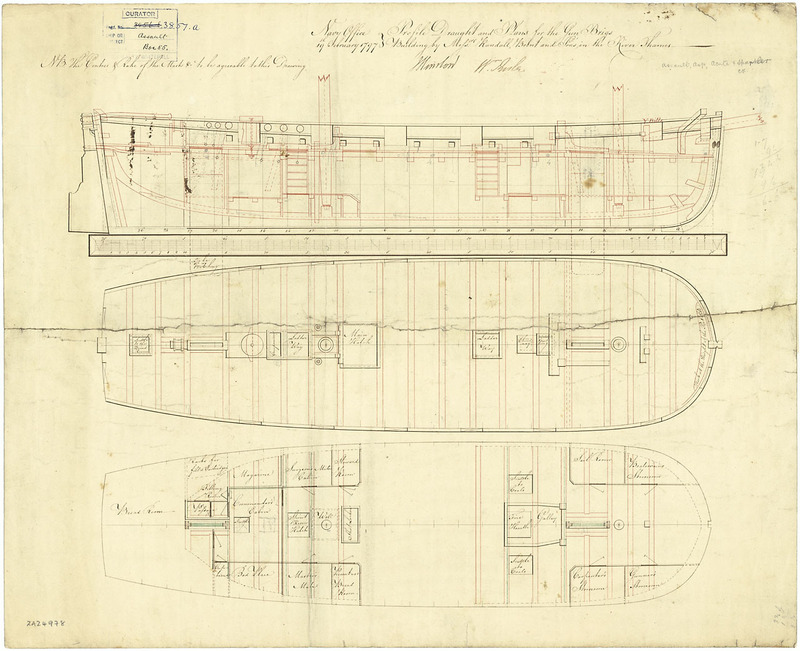 HM Gunboat No.9 was ordered from John and William Wells on 7th February 1797, her keel was laid at Deptford later that month and she was launched on 11th April. Immediately after her launch, she was taken to the Royal Dockyard at Deptford, where she was fitted with her guns, masts and rigging and her lower hull was coppered. This process was completed on 16th June and she commissioned into the North Sea Fleet under Lieutenant Thomas Gilbert. The vessel was formally named HMS Boxer on 7th August 1797. By the spring of 1798, intelligence had reached the British that a large number of transport schyuts had been prepared at Flushing in order to mount the long-threatened French invasion of Britain. These vessels were to be transported down the Bruges Canal to Ostende and thence to Dunkerque. To prevent this, the Government ordered a large-scale raid to be carried out on Ostende, which was to be led by Major-General Eyre Coote. The Naval element was to be commanded by Commodore Home Riggs Popham in the former 44 gun two-decker, by now converted to a troopship, HMS Expedition. HMS Boxer was ordered to join Popham's force which was assembling off Margate. In addition to HMS Expedition and HMS Boxer, the force also comprised the ex-French 38 gun frigate HMS Minerve, armed en-flute (that is, with some of her guns removed to make room for more troops and their equipment), the 9pdr armed 24 gun post-ship HMS Ariadne, the brig-sloops HMS Kite and HMS Harpy, both of 18 guns and the gun-brigs HMS Acute, HMS Biter, HMS Blazer, HMS Cracker and HMS Wolverine, all of 14 guns, HMS Asp and HMS Furnace of 12 guns each, the bomb vessels HMS Hecla and HMS Tartarus and the hired armed cutter Dart of 8 guns. The landing force was to comprise of four light infantry companies of the Grenadier Guards aboard HMS Minerve under Lieutenant-Colonel Ward, with the remainder of the troops under the Major-General, comprising two light infantry companies of the Coldstream Guards, two light infantry companies of the 11th foot regiment, a company each from the 23rd and 49th foot regiments, together with a small party of miners. The total landing force consisted of 1140 men and had six field guns. The fleet departed the Margate Road on 14th May but because of adverse winds, did not arrive off Ostende until about 01:00 on 19th. By this time, the wind had shifted and had kicked up a heavy surf at their intended landing point. Receiving intelligence from a merchant vessel unfortunate enough to encounter Popham's force that their target was only lightly defended, it was decided to land the force there and then and hope that the weather would have improved by the time they needed to re-embark. By 03:00, the landings were completed without opposition. At about 04:15, shore batteries opened fire on the nearest British vessels, HMS Wolverine, HMS Asp and HMS Biter. A heavy exchange of fire lasting about four hours then followed in which HMS Wolverine and HMS Asp in particular were badly damaged. While this was going on, the bomb vessels were launching their shells into the town and basin at Ostende, doing considerable damage to the town and vessels in the basin. Seeing the damage sustained by HMS Wolverine and HMS Asp, Commodore Popham ordered them to withdraw and their places be taken by HMS Dart, HMS Kite and HMS Harpy, which continued the bombardment of the shore batteries. Because of the low state of the tide and the fact that the replacement vessels were somewhat bigger, they were obliged to anchor further offshore and as a result, their fire was less effective than before. At 10:20, the landing force blew up the locks and sluice gates of the Bruges Canal, with the explosions so large they could be seen and heard from the ships waiting off the shore. By noon, they were ready to re-embark, but such was the weather, this was not possible. The troops then took up defensive positions in the sand dunes and waited for the weather to calm down. They waited for the rest of the day and all the following night, but daybreak on 20th May saw them attacked by a French force of considerable strength. In the action which followed, the landing force sustained casualties of 65 men killed and wounded before they were forced to negotiate terms of surrender with the French. On 27th June 1800, HMS Boxer was part of a squadron commanded by Captain Robert Inman in the 12pdr armed 32 gun frigate HMS Andromeda. In addition to HMS Andromeda and HMS Boxer, the squadron comprised the 9pdr armed 28 gun frigate HMS Nemesis, the 28 gun carronade armed ship-sloop HMS Dart, the 18pdr carronade-armed 14 gun fireship HMS Comet, the hired armed cutters Kent of 16 guns, Ann of 12 guns and Vigilant of 6 guns. There were also the fire-ships Falcon, Rosario and Wasp, all merchant vessels purchased for use as fire-ships. Also present was HMS Boxer's sister-boat HMS Biter. The squadron assembled off Dunkerque and was tasked with capturing or destroying four large French frigates which had been blockaded in the port for some time. The French frigates were the 24pdr armed 44 gun frigate Poursuivante, the 18pdr armed 40 gun frigate Carmagnole, plus the Desiree and Incorruptible, both 18pdr armed 38 gun frigates. Contrary winds and unfavourable tides prevented the attack until the evening of 7th July, when HMS Dart led the attack, followed by HMS Boxer, HMS Biter, the fire-ships and the cutters. On entering the anchorage off the harbour, HMS Dart was challenged by one of the French frigates. Not recognising HMS Dart as being British in the darkness, the Frenchman asked where she was from, to which the answer was "Bordeaux". When asked about the convoy of vessels following her in, the answer was "Je ne sais pas", upon which the conversation ended and the British vessels continued to brazenly sail into the heart of a heavily fortified enemy harbour. HMS Dart next arrived at the second innermost French frigate, whose crew realised that something was seriously wrong and opened fire. HMS Dart replied with a full broadside of 15 32pdr carronades, double shotted. Letting go a stern anchor to bring her to a stop, HMS Dart arrived at the innermost French frigate, the Desiree and her crew boarded the French frigate and after a short fight, captured her. On the way in, once one of the French frigates had opened fire, all hell broke loose and both the gunbrigs opened fire on the remaining three French frigates, while the cutters held off an attack by French gunboats. The remaining enemy frigates cut their anchor cables and escaped. The Desiree was taken out of the harbour into the English Channel, while the fire-ships were fired and left to drift into the harbour once the British vessels had made off. In the Attack on Dunkerque on 7th July 1800, HMS Boxer suffered no casualties or damage, while the Desiree was taken into the Royal Navy, converted into an 18pdr armed 36 gun frigate and commissioned under her French name. On 9th August 1800, HMS Boxer was part of the fleet sent to reinforce Lord Whitworth's negotiations with the Danish government during the lead-up to the Battle of Copenhagen mentioned above and returned to the UK in September 1800. HMS Boxer remained in the North Sea Fleet, was finally paid off in April 1806 and was sold in July 1809. HM Gunboat No.10 was ordered from John and William Wells on 7th February 1797, her keel was laid at Deptford later that month and she was launched on 13th March. Immediately after her launch, she was taken to the Royal Dockyard at Deptford, where she was fitted with her guns, masts and rigging and her lower hull was coppered. This process was completed on 21st June and she commissioned into the North Sea Fleet under Lieutenant John Denis de Vitre. The vessel was formally named HMS Biter on 7th August 1797. Between 14th and 20th May 1798, HMS Biter was involved in the Raid on Ostende as described above. In July 1798, Lieutenant de Vitre was replaced in command by Lieutenant Samuel Norman. On the night of 7th and 8th July 1800, HMS Biter participated in the Attack on Dunkerque and participated in the Battle of Copenhagen on 2nd April 1801. As part of the drawdown of the fleet after the signing of the Treaty of Amiens in March 1802, HMS Biter was paid off and sold in May of 1802. HM Gunboat No.11 was ordered from John and William Wells on 7th February 1797, her keel was laid at Deptford later that month and she was launched on 11th April. Immediately after her launch, she was taken to the Royal Dockyard at Deptford, where she was fitted with her guns, masts and rigging and her lower hull was coppered. This process was completed on 8th June and she commissioned under Lieutenant Lawrence Dundas Bruce. The vessel was formally named HMS Bruiser on 7th August 1797. On 2nd April 1801, HMS Bruiser was one of the gun-brigs assigned to support the ships of the line and other vessels involved in the Battle of Copenhagen. With negotiations underway to bring about the end of the war under the Treaty of Amiens, HMS Bruiser was paid off and sold during January of 1802. HM Gunboat No.12 was ordered from John Dudman & Co on 7th February 1797, her keel was laid at Deptford later that month and she was launched on 14th April. Immediately after her launch, she was taken to the Royal Dockyard at Deptford, where she was fitted with her guns, masts and rigging and her lower hull was coppered. This process was completed on 26th June and she commissioned under Lieutenant Daniel Burgess. The vessel was formally named HMS Blazer on 7th August 1797. Between 14th and 20th May 1798, HMS Blazer took part in the Raid on Ostende. On 2nd April 1801, HMS Bruiser was one of the gun-brigs assigned to support the ships of the line and other vessels involved in the Battle of Copenhagen. As part of the drawdown of the fleet after the signing of the Treaty of Amiens in March 1802, HMS Biter paid off at Sheerness and was sold in January of 1803. HM Gunboat No.13 was ordered from John Dudman & Co on 7th February 1797, her keel was laid at Deptford later that month and she was launched on 25th April. Immediately after her launch, she was taken to the Royal Dockyard at Deptford, where she was fitted with her guns, masts and rigging and her lower hull was coppered. This process was completed on 26th June and she commissioned under Lieutenant Thomas Atkinson. The vessel was formally named HMS Cracker on 7th August 1797. Between the 14th and 20th May 1798, HMS Cracker participated in the Raid on Ostende. On 13th August 1799, HMS Cracker was part of the Anglo-Russian invasion fleet which departed the Margate Road to support the operation in the Scheldt Estuary and provided fire support for the landings near the Dutch naval base at Texel. As part of the drawdown of the fleet following the end of the war in March 1802, HMS Cracker was paid off at Portsmouth and was sold in December 1802. HM Gunboat No.14 was ordered from John Dudman & Co on 7th February 1797, her keel was laid at Deptford later that month and she was launched on 28th April. Immediately after her launch, she was taken to the Royal Dockyard at Deptford, where she was fitted with her guns, masts and rigging and her lower hull was coppered. This process was completed on 16th June and she commissioned under Lieutenant Obidiah Newell. The vessel was formally named HMS Clinker on 7th August 1797. The spent her career patrolling the English Channel but saw no significant action. As part of the drawdown of the fleet following the Treaty of Amiens, she was paid off and sold in October of 1802. HM Gunboat No.15 was ordered from Mrs Frances Barnard & Co on 7th February 1797, her keel was laid at Deptford later that month and she was launched on 28th April. Immediately after her launch, she was taken to the Royal Dockyard at Deptford, where she was fitted with her guns, masts and rigging and her lower hull was coppered. This process was completed on 16th June and she commissioned under Lieutenant James Anderson. The vessel was formally named HMS Crash on 7th August 1797. Lieutenant Anderson remained in command until early 1798 when he was replaced by Lieutenant Bulkeley Mackworth-Praed. Between the 14th and 20th May 1798, HMS Crash participated in the Raid on Ostende. On 23rd August, HMS Crash was in company with the 9pdr armed 24 gun post-ship HMS Ariadne off the Scheldt Estuary when the vessels were caught in a rising gale. As the weather worstened, the two vessels separated. Acute Class gun brigs were not designed to be at sea in bad weather, so in an attempt to save their little brig from foundering, HMS Crash's crew heaved the guns overboard to lighten her, particularly the heavy 24pdr long guns in her bow, which with their carriages, weighed in the order of three tons each. On 26th August, she managed to reach the Scheldt Estuary and anchored to ride out the storm in more sheltered waters. Unfortunately, her anchors dragged and she soon found herself aground. Lieutenant Mackworth-Praed made the decision to abandon ship and to ensure that the vessel couldn't be used by the enemy, they smashed holes in her bottom and threw the gunpowder and shot overboard. They made their way ashore where they surrendered to Dutch soldiers. The Dutch managed to salvage the vessel, took her to the dockyard at Texel, repaired her and commissioned her into the Dutch navy under her British name. By this time, the enemy had captured enough carronades from the British to be able to copy them and accordingly, when put into Dutch service, they armed her with 8 18pdr carronades, 2 24pdr carronades and 2 32pdr carronades. On 11th August 1799, a British Inshore Squadron under the command of Captain Frank Sotheron in the 18pdr 38 gun frigate HMS Latona was patrolling the waters off the Dutch coast. In addition to HMS Latona, the squadron consisted of the 6pdr armed 16 gun ship-sloop HMS Pylades, the 24pdr carronade armed 16 gun brig-sloop HMS Espiegle and the hired armed cutter Courier of 12 guns. The squadron sighted the Crash moored in a narrow passage between the island of Schiermonikoog and the mainland at Groningen. Deciding that they would recapture the Crash, the sloops-of-war and the cutter made their way inshore and carefully navigating the narrow and shallow passages with not more than two feet of water to spare, they eventually made their way to within a pistol-shot, or around 30 yards of the Crash, whereupon they opened fire. The Dutch crew of the Crash put up a fierce resistance to the three British vessels and the firefight went on for almost 50 minutes before the Dutch struck their colours and surrendered to the vastly superior British force. HMS Pylades and HMS Espiegle were badly damaged in their masts and rigging and HMS Espiegle had a man killed and two wounded. These were the only casualties amongst the British force and it is not known what casualties were suffered by the Crash's Dutch crew. Captain Sotheron and the squadron were not finished yet. In addition to the retaking of the Crash, Sotheron had sent a raiding party into the estuary in boats with the intention of taking an armed schooner which was anchored near a sandbank. In addition to the boats of HMS Latona, HMS Espiegle and HMS Pylades each sent a boat. The schooner weighed anchor, ran herself ashore and opened fire on the boats, driving them off with the loss of one man killed. The following day, having put a British crew into the Crash and having fitted out a Schyut they had also taken the previous day with 2 12pdr carronades taken from HMS Pylades, the squadron's boats set out on yet another raid, this time to attack the large Dutch armed schooner Vengeance, which was moored under the guns of a shore battery on the island. The raiding party was under the command of HMS Latona's first lieutenant, Mr James Slade, assisted by Lieutenant Salusbury Pryce Humphreys who was given command of the schyut, temporarily named Undaunted and was carried in all the squadron's boats, plus the Courier, the Undaunted and the Crash. Courier was to have provided the fire support for the raid, but she ran aground on the way in. Crash, Undaunted and the boats pressed on regardless under a heavy fire from the shore batteries and the Dutch schooner. Before too long however, Crash also ran aground. It would appear that the Dutch had overloaded her and she was drawing more water than the British expected. The British vessels returned fire to the degree where the Dutch gunners on the shore battery were driven off and the crew of the Vengeance abandoned ship and made their way ashore just as the boats crews were about to board her. On their way off, they set fire to the vessel so effectively that the British sailors were unable to put the fire out. Undaunted got alongside of the Vengeance, but the tide was running so fast that the British were unable to hold on and the Undaunted began to drift away. Lieutenant Humphreys took a rope, tied it around himself and jumped into the water with the intention of swimming to the Dutch schooner and attaching it, but was also swept away by the fast current and had to be hauled back aboard the Undaunted. No sooner had he set foot back aboard the Undaunted than the Vengeance was blown apart in a tremendous explosion. The fire so carefully set by her former crew had reached the magazine. In the meantime, the squadron's boats had made it to the shore where their crews stormed the battery, spiked and destroyed four iron 12pdr guns and made off with a pair of brass 4pdr field guns. The raid on 12th August was completed without any casualties on the British side. Crash was taken back into the Royal Navy and refitted back for British service. As a reward for his part in the raid, Lieutenant Slade was given command of HMS Crash and as a further reward for his part, was appointed Master and Commander in her rather than Lieutenant-in-Command on 2nd September 1799. In 1801, HMS Crash paid off to be re-coppered and Mr Slade was appointed Master and Commander in HMS Espiegle. On recommissioning, HMS Crash came under the command of Lieutenant David Hamline who remained in command until she paid off and was sold in September 1802 following the end of the war in March. HM Gunboat No.16 was ordered from Mrs Frances Barnard & Co on 7th February 1797, her keel was laid at Deptford later that month and she was launched on 4th April. Immediately after her launch, she was taken to the Royal Dockyard at Deptford, where she was fitted with her guns, masts and rigging and her lower hull was coppered. This process was completed on 11th May and she commissioned under Lieutenant James Ides Short. The vessel was formally named HMS Contest on 7th August 1797. On 29th August 1799, HMS Contest was caught in a severe gale and was driven onto a sandbank and wrecked. Two of her crew attempted to swim to the shore but were swept away and drowned. 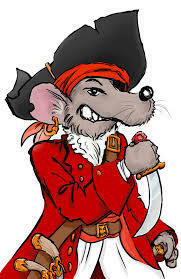 The rest of the crew were rescued by the Dutch before she broke up and were returned to the UK a couple of weeks later. Lieutenant Short faced a Court Martial at the Nore on the 20th January 1800 and was honourably acquitted. The Court Martial Board found that his vessel had been caught on a lee shore and that there was nothing Lieutenant Short or HMS Contest's crew could have done to save their vessel. In April 1801, Short was appointed as Lieutenant-in-Command of the gun-brig HMS Bold of 12 guns. HM Gunboat No.17 was ordered from Mrs Frances Barnard & Co on 7th February 1797, her keel was laid at Deptford later that month and she was launched on 22nd April. Immediately after her launch, she was taken to the Royal Dockyard at Deptford, where she was fitted with her guns, masts and rigging and her lower hull was coppered. This process was completed on 29th May and she commissioned under Lieutenant Valens Comyn. The vessel was formally named HMS Adder on 7th August 1797. Lieutenant Comyn remained in command until January 1798 when he was replaced by Lieutenant John Joyce. Lieutenant Joyce remained in command until May when he was appointed as First Lieutenant in the 110 gun first rate ship of the line HMS Ville de Paris. He was replaced by Lieutenant George Wood. On 13th August 1799, HMS Adder was part of the Anglo-Russian invasion fleet which departed the Margate Road to support the operation in the Scheldt Estuary and provided fire support for the landings near the Dutch naval base at Texel. Unlike the majority of the Acute Class gun-brigs, HMS Adder survived the Peace of Amiens and when war broke out again in May of 1803, she was commissioned into the Channel Fleet. At the end of October 1803, HMS Adder was operating off Calais and Boulogne in company with a squadron under the orders of Captain Robert Honeyman in the 18pdr armed 38 gun frigate HMS Leda. At the time, the French had assembled a huge army of some 83,000 men in the area around Boulogne in preparation for an invasion of England and Captain Honeyman's force was engaged in making sure that this army did not have the means to cross the English Channel. At 09:00 on 31st October, three vessels of the squadron were off Etaples near Calais and were working towards the shore against a strong east-south-easterly wind. A large brig mounting 12 24pdr long guns was seen coming out of Etaples in company with a number of smaller vessels and Captain Honeyman ordered the 6pdr armed ship-sloop HMS Lark (16) and the 32pdr carronade armed brig-sloop HMS Harpy (18) to give chase. Independently of Captain Honeyman's force, the hired armed cutter Admiral Mitchell, carrying a dozen 12pdr carronades, patrolling off Calais, had also sighted the enemy vessels and had also given chase. At 10am, the Admiral Mitchell brought the enemy vessels to action and forced the brig and one of the other vessels to run ashore. Despite the efforts of Captain Honeyman and his vessels, more and more French vessels began to assemble in the Boulogne Road, immediately off the port and under the cover of powerful shore batteries. On 19th July 1804, in the afternoon, the wind began to rise from the east-north-east and caused such a sea to rise that the masters of the various French vessels anchored in the Boulogne Road began to get uneasy. In order to prevent themselves being wrecked on a lee shore, many of the enemy vessels began to put to sea to either ride out the storm in the open sea, or to make for Etaples, which offered better shelter. Captain Honeyman ordered HMS Harpy and the 18pdr carronade-armed gun brigs HMS Archer and HMS Bloodhound, each of 12 guns, to immediately chase down and attack any vessels leaving the anchorage. At the same time, the 24pdr carronade-armed ship-sloop HMS Autumn of 14 guns operating independently also got stuck in. There is no record of the numbers of French vessels driven ashore after being caught between the guns of the Royal Navy and the weather. It is known however that the bodies of over 400 French soldiers and sailors were washed ashore and the disaster was witnessed by Napoleon himself. He was taught a valuable lesson; that it was not just the Royal Navy he had to fear when trying to get his huge army across the English Channel. Nevertheless, the preparations for the invasion of Britain continued and by 25th August, some 146 French gun-vessels were laying in the Boulogne Road, 62 of them were gun-brigs and the rest were mainly luggers. In order to entertain the Emperor, the French admiral Bruix decided to order a division of these vessels to weigh anchor and head towards where the British 18pdr carronade-armed gun-brig HMS Bruiser of 12 guns was laying, keeping an eye on them. At about 13:45, an exchange of fire began between the French gun-boats and HMS Bruiser, which soon brought the ex-French 18pdr armed 38 gun frigate HMS Immortalite to the spot and at 14:30 the frigate opened fire on the French too. The French decided to withdraw but the foray had pursuaded the British to keep HMS Immortalite closer to the shore. The following day, the British decided to hit the French force and to that end, HMS Immortalite accompanied by HMS Harpy, HMS Adder and and the gun-brig HMS Constitution made sail towards a force of some 60 gun-brigs and other vessels. The French kept close to the shore in order to tempt the British under the guns of the shore batteries. The temptation was too much to resist for the British and despite the incessant fire from ashore, they closed to within three quarters of a mile from the shore and opened fire on the vast numbers of French vessels arrayed before them. While the Constitution was engaging a heavy gun-brig on one side and two luggers on the other with her 12pdr carronades, she was hit by a 13in shell which passed clean through her without exploding. Unfortunately, the hole in her bottom could not be plugged and the vessel began to sink. HMS Harpy and HMS Adder both sent boats to rescue the crew of the Constitution, who were saved without loss. Things continued like this until about 28th August, during which time over 20 of the French invasion craft had been destroyed despite being under the protection of powerful shore batteries. Again, Napoleon was taught a hard lesson. In the space of five weeks he had witnessed what the Royal Navy and the weather would do to his invasion fleet and that was before they even got out of their base. In January 1805, HMS Adder was paid off at Sheerness as unserviceable and was broken up there the following month. HM Gunboat No.18 was ordered from Mrs Frances Barnard & Co on 7th February 1797, her keel was laid at Deptford later that month and she was launched on 24th April. Immediately after her launch, she was taken to the Royal Dockyard at Deptford, where she was fitted with her guns, masts and rigging and her lower hull was coppered. This process was completed on 30th June and she commissioned under Lieutenant John Harford. The vessel was formally named HMS Spiteful on 7th August 1797. On Saturday 9th November 1800, HMS Spiteful was laying at anchor in St Aubyn's Bay, Jersey, under the guns of the batteries on Elizabeth Castle, perched high on a rocky island sitting in the middle of the bay. Also in the bay that day were the 18pdr ex-French 40 gun frigate HMS Loire, the 32pdr carronade armed brig-sloop HMS Pelican of 18 guns, the hired armed brig Telegraph of 14 guns, the schooner-rigged gunboat HMS Redbridge of 12 guns, the 6pdr armed ex-Dutch ship-sloop HMS Havick of 16 guns and the hired armed cutter Lion of 14 guns. In the early part of the evening, the winds began to rise from the west and continued to do so all night, so that by dawn on the 10th, the wind had reached hurricane force. All the vessels, warships and merchantmen in the Bay were in distress and began to fire distress guns. HMS Havick was the first to be driven ashore and was wrecked on the beach near Elizabeth Castle after dragging her anchors. HMS Loire also dragged her anchors and the cables parted as the anchors became lodged in rocks behind Elizabeth Castle. She managed to make it out of the Bay and arrived at Spithead a few days later. HMS Pelican was driven ashore below Elizabeth Castle and was later refloated and repaired. The Telegraph cut away her main mast and made it out to sea. HMS Redbridge made it out to sea after her crew threw the guns overboard to lighten the vessel. Lion was driven ashore near Elizabeth Castle but was later refloated. HMS Spiteful soon joined the other vessels on the beach behind Elizabeth Castle between St Aubyn and St Helier and was later refloated and repaired in the harbour at St Helier. The winds were so powerful that it was impossible to stand or walk and the crews of the aground vessels could only get up the beach by crawling. Many of the islanders turned out to assist and thanks to their efforts, despite the ferocity of the storm and the numbers of vessels being driven ashore on the sandy beach between St Aubyns and St Helier, nobody drowned. HMS Havick was abandoned as a wreck and slowly, over time, the wreck was swallowed by the sands. It was rediscovered in 1987 and was excavated in 1997 and 1998, with many artifacts being recovered and preserved in the Jersey Museum. With the end of the French Revolutionary War in 1802, HMS Spiteful was laid up at Portsmouth. She wasn't in a fit condition to be recommissioned on the outbreak of the Napoleonic War in May 1803. In March 1804, HMS Spiteful was converted to a hospital ship and remained in that role at Portsmouth until she was broken up in July 1823.